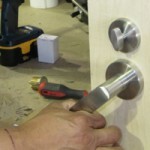 Our expert service is provided by a team of fully-qualified locksmiths with years of experience helping Ontarians. 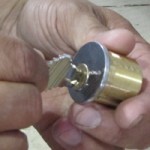 Our locksmiths are friendly, reliable, trustworthy, and most important – the best of the best. Whether you need new locks fitted, an alarm system installed, or help after you’ve locked yourself out, FC Locksmith is here to help. Our residential service covers everything from the smallest of tasks (duplicate key cutting) to those much larger (security evaluations) and beyond (post-burglary assistance). As well as helping the residents of King City, FC Locksmith is also more than happy to assist business owners and companies in the area. Whatever your business, we can help you with general lock enquiries, including installation, repair, and replacement, as well as offer security assistance. From state-of-the-art alarm systems to high-security safes and filing cabinets, we’re here for you. In the unfortunate event that you find yourself locked out of your car or, for whatever reason, your key no longer does what is required, be sure to call FC Locksmith. Our team of locksmiths can regain entry to your vehicle with minimal fuss, wherever you might be. If you find that you need any of our services out-of-hours, fear not. FC Locksmith operates a 24-hour emergency service, meaning that we can help you any time of day or night. We’re available on public holidays too.